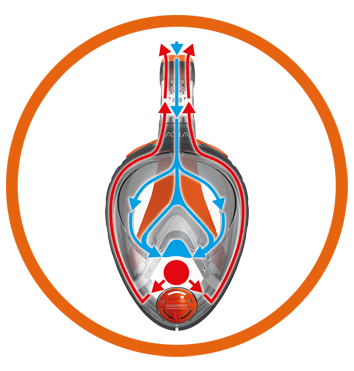 Goodbye jaw discomfort, goodbye difficult breathing and goodbye water in your snorkel. For good. 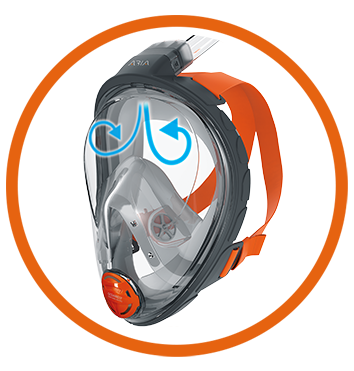 With Aria you breathe through your nose, while the dry top prevents water from getting in the snorkel. Now your mouth is free to say: WOW! Goodbye defoggers, hassles and lost opportunities to see the fish of a lifetime. 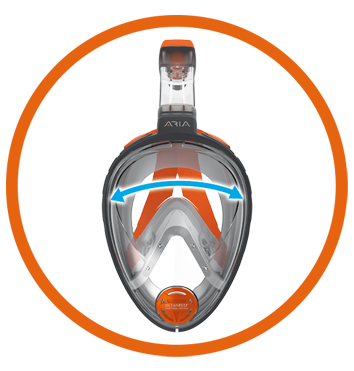 Aria’s breathing circulation inside the mask’s frame guarantees no fogging and no extra stress. Just take it out and jump in. 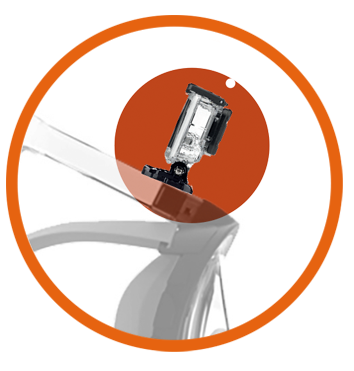 Aria’s also equipped with a dock for sport cameras – you can record and relive your experience any time you want.